With enchanting greenery as far as the eyes can see, Houseboat Sharing Ganga Deluxe cruises through the backwaters, as either side of the river edges the gentle surfing of the coconut palms. A thatched roof made of coconut leaves and traditional materials welcomes you to a sun-deck as you step into this elegant houseboat. On the deck, you can enjoy your morning tea or the evening coffee with traditional Kerala style snacks like Banana fry or Finger Chips or Tapioca Chips. 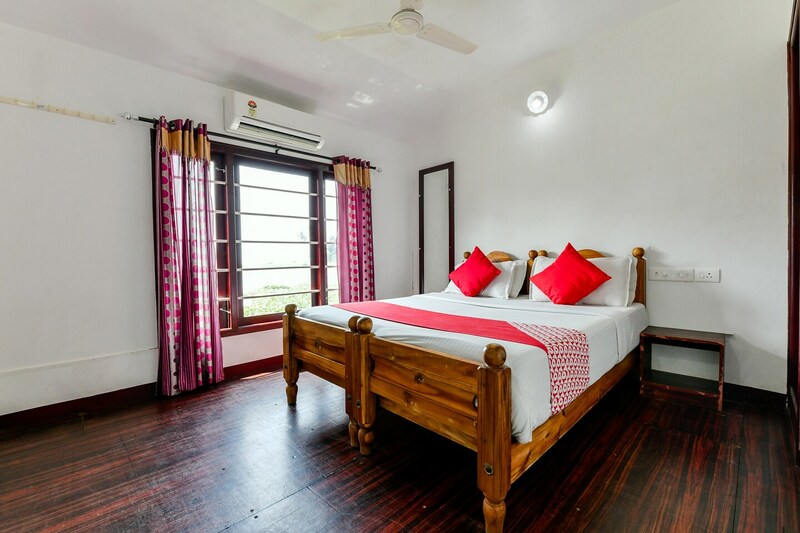 The rooms have wooden decor with huge windows for natural light. When you are anchored, the city's St Anthony's Church is just a few minutes away from the hotel.